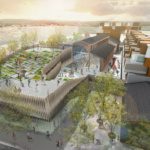 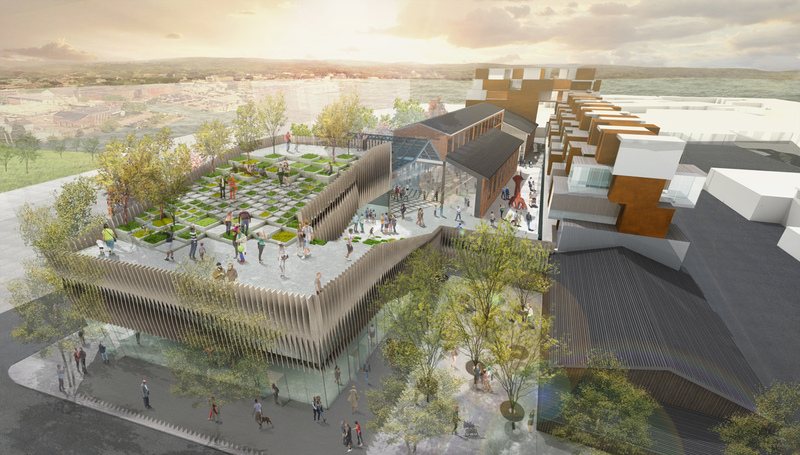 The Beggar’s Wharf Arts Complex is at the heart of a redevelopment design vision commissioned by Rockland City Planning to revitalize the coastal Maine town’s brownfield waterfront district. 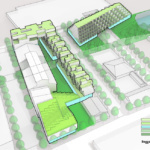 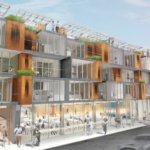 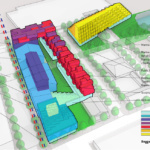 Ten to One conceived of a mixed-use program that incorporates a museum, studios, educational facilities, live-work housing, commercial spaces, and a marina. 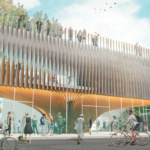 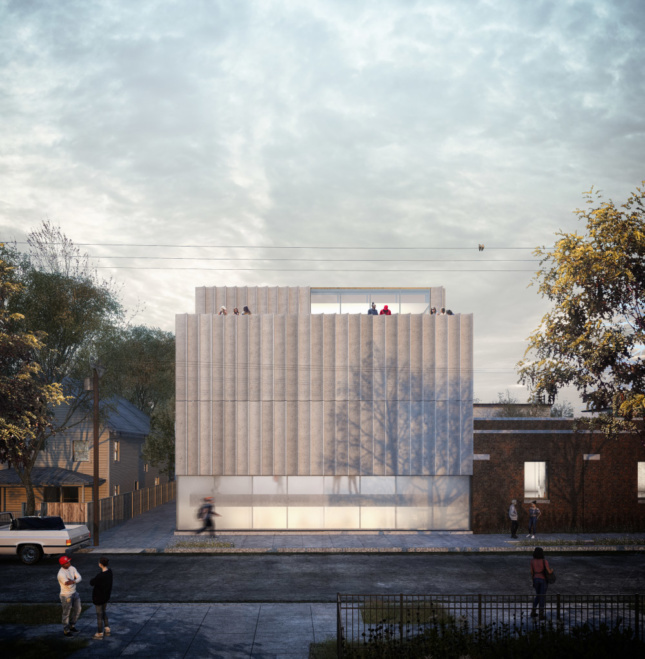 At the core of the proposal, a main museum structure is set to seamlessly blend into the streetscape outside. 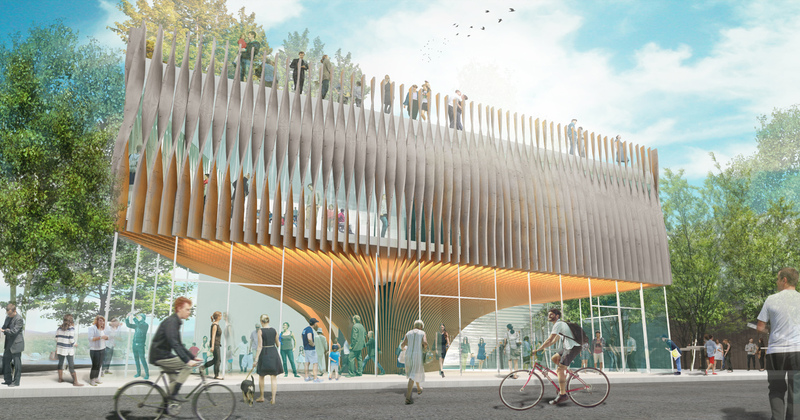 This main building will be clad in a mushroom-shaped skin composed of cedar wood fins. 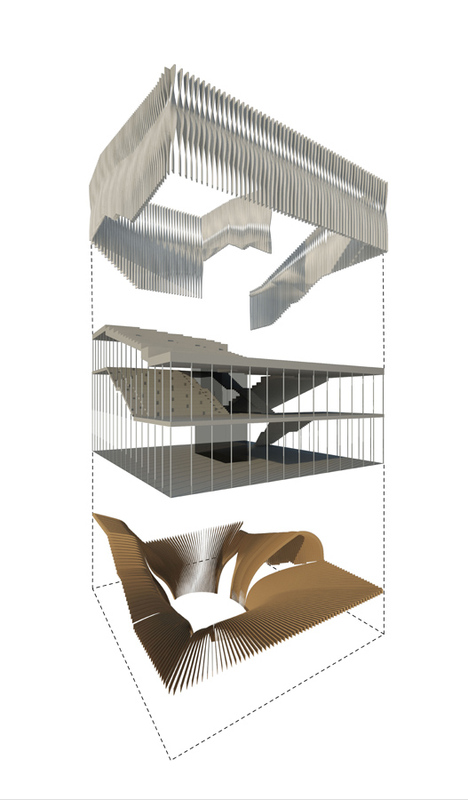 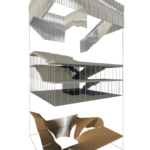 A series of flexible galleries will unfurl upward through a public procession of theaters, terraces, cafes, and markets. 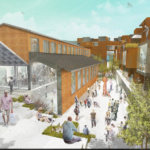 The historic Bicknell Factory Building will be reclaimed as a continuation of the museum and house additional exhibition and event spaces.